Cross Kill opening line: A late winter storm bore down on Washington, DC, that March morning, and more folks than usual were waiting in the cafeteria of St. Anthony of Padua Catholic School on Monroe Avenue in the northeast quadrant. Alex Cross and his best friend are doing duty feeding children before school. His grandmother has set up a hot meal system at the local school as an act of goodwill. During a routine start to their morning, shots are fired. A member of the kitchen staff and a nun has been gunned down. Alex and John rush to assist and the results are devastating. A man, seemingly back from the dead, aims guns at both of them. Alex is bewildered and ends up being shot in the chest. His body armour saves him, but John is not so lucky. Will Alex manage to catch who he thinks is Gary Soneji? ALEX CROSS, I’m coming for you – even from the grave if I have to. Along Came a Spider killer Gary Soneji has been dead for over ten years. Alex Cross watched him die. But today, Cross saw him gun down his partner. Is Soneji alive? A ghost? Or something even more sinister? Nothing will prepare you for the wicked truth. I’m hooked on Alex Cross stories and wish this one was a longer delve into his life. The bookshot was gripping enough to have me longing for the next installment. 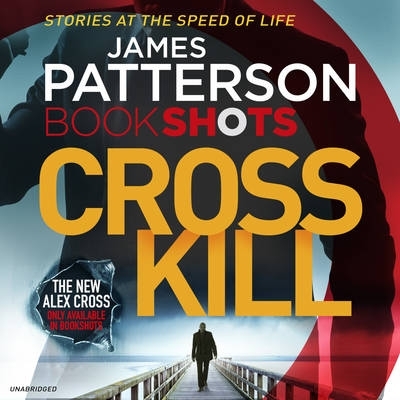 I enjoy reading the Alex Cross series as well, will have to pick this one up. Hope you are having a great week-end Tandy!